Well, it appears the rumors were true. 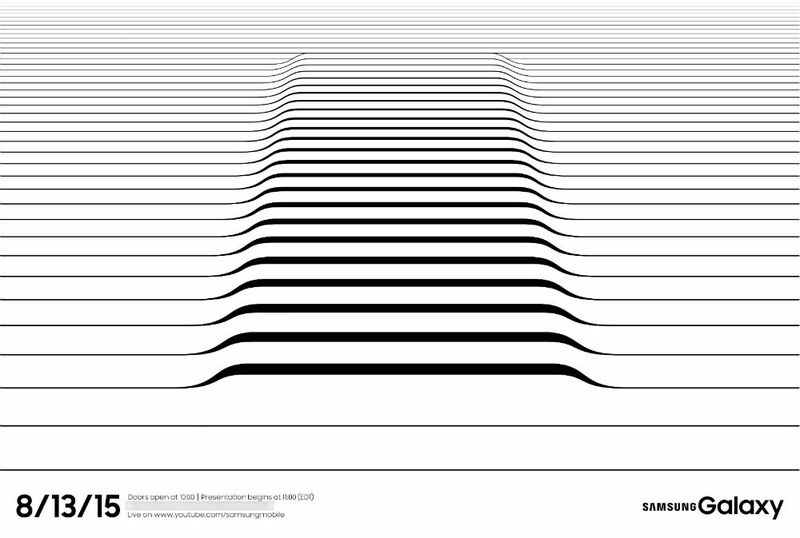 We received the above invite in our inboxes today, asking us to join Samsung in New York City on August 13 at 11am Eastern for the likely unveiling of the Galaxy Note 5. In addition to the Note 5, we are also expecting to see the Galaxy S6 Edge+, basically a larger model of the Galaxy S6 Edge. To top it off, it is possible Samsung plans to release Samsung Pay for North America, and also unveil their round smartwatch powered by Tizen. It should be quite the event. The invite image features what looks like the bottom-side profile of a Galaxy S6 Edge, just to my eyes. Whatever exactly it may be, there are definitely some rounded curves going on. Mark your calendars for August 13 at 11am Eastern (8am Pacific). To stream the event that morning, follow Samsung Mobile’s YouTube account.